We are having a new boiler fitted at home this week, so today we drove up to my mums in Sheffield to escape the mess! 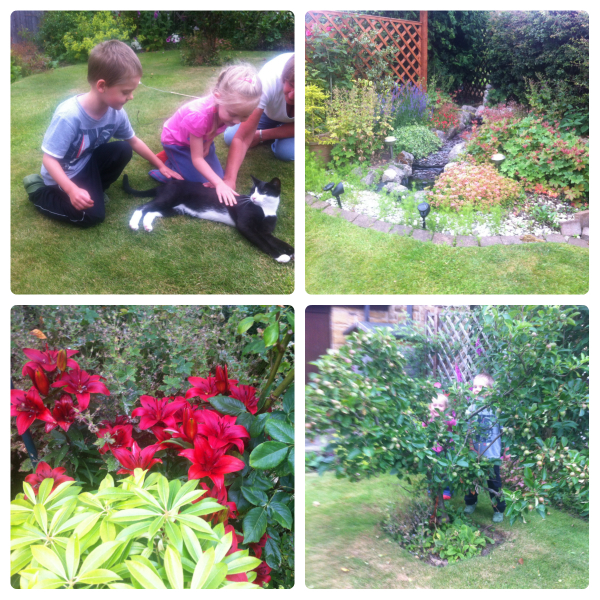 As soon as we arrived the kids went into the garden. They played with the cats and hunted for bugs in the plants and the water. 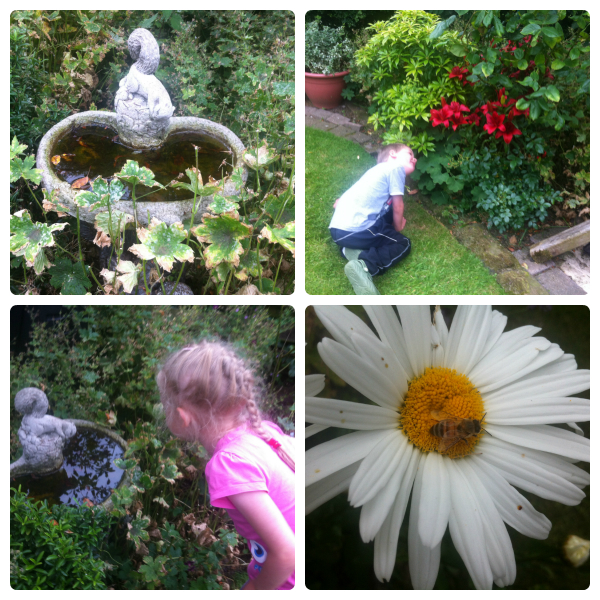 We found some bees feeding on daisies, woodlice, and a couple of other bugs. Unfortunately we also found lily beetles and grubs on the lilies. In the birds water table we found some mosquito larvae and drone fly larvae (rat tailed maggots). The kids can’t wait to go out and hunt for more bugs tomorrow!